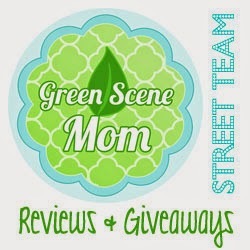 Irresistibly Green has all of your cloth diapering needs as well as some products for mom too. Here is a little info about their site. Irresistibly Green is all about the eco-conscious family. We strive to provide eco-friendly products for the green minded family. From cloth diapers to reusable home goods, there are so many ways to reduce our impact on this Earth. Modern day cloth diapering has never been easier. Irresistibly Green offers products to serve your cloth diapering needs. Many parents choose disposable diapers out of convenience not knowing how easy and innovative modern cloth diapers are today. With stay-dry and natural fiber options, cloth diapering is easily customizable to your baby’s needs and your preferences. Wrapping up a cloth diaper with cloth wipes and placing them in a wet bag or pail is just as easy as wrapping and tossing a disposable. Cleaning your diapers is simple! Visit our diaper care page for washing tips. We have cloth diapers, diaper covers, and many cloth diapering accessories. We carry several styles of cloth diapers, including pocket diapers, all-in-ones, fitteds, one-size, and covers. The fun doesn’t stop with diapers! We also have cloth wipes, wet bags, pail liners, wipe solutions, liners, diaper doublers, and inserts. We carry several brands including FuzziBunz®, Knickernappies, Oh Katy, Drybees, Tiny Tush, Tweedlebugs, Sweet Pea, & more! Irresistibly Green also offers Baltic amber teething necklaces. Read through our brief intro to get an idea about what types of cloth are available. With many variations and brands, there is a cloth solution for everyone. I was sent a Itti Bitti Tutto OS diaper in the color Chocolate and it retails for $26.95. I loved this diaper as soon as I pulled it out of the package. The color is great and the minky is so super soft! The Itti Bitti Bitti Tutto is a trim one size diaper fitting from 8 pounds up to 40 pounds. The bitti tutto has a complete internal gusset, protecting the sides and back. Each diaper comes with three soaker pads, so you can customise the absorbency to suit your baby. PLUS bitti tutto is brilliantly economical, as you can buy extra soaker pads separately and re-use the outer shell! Each Bitti Tutto comes with a bamboo soaker set. additional soaker sets may be purchased separately. Alot of people say that the inserts are too much but once you get the hang of it you will love them. This diaper is great especially for a heavy wetter. You can use as many of the inserts as you want inside your diaper. I use them them all every time I use this diaper since Logan is a heavy wetter. Here are some action shots. The color is amazing I love everything about this diaper. The snaps are easy to use and the fit is totally great and snug especially in the legs. Irresistibly Green carries 8 other colors in this diaper other than the chocolate color. One lucky TTGG follower will be winning a $25 gift card to Irresistibly Green. I would buy a snappi and some more newborn diapering supplies for baby 2.0 due in June! I would probably get a Ones and Twos AIO and who knows what else! Pocket diaper, probably Kawaii and a wet bag! I would get a Planet Wise pail liner and wet bag. I would pick up a Jellystone Troika Teething Necklace! I would get some CJs BUTTer! I am almost out! I'd get a Tiny Tush Elite 2.0 I think. I would use it toward an Itti Bitti Tutto! I would stock up on Grandma El's. I'd try an Oh Katy pocket diaper! I'd probably get a fitted diaper. A bunch of CJ's butter. Love that stuff!